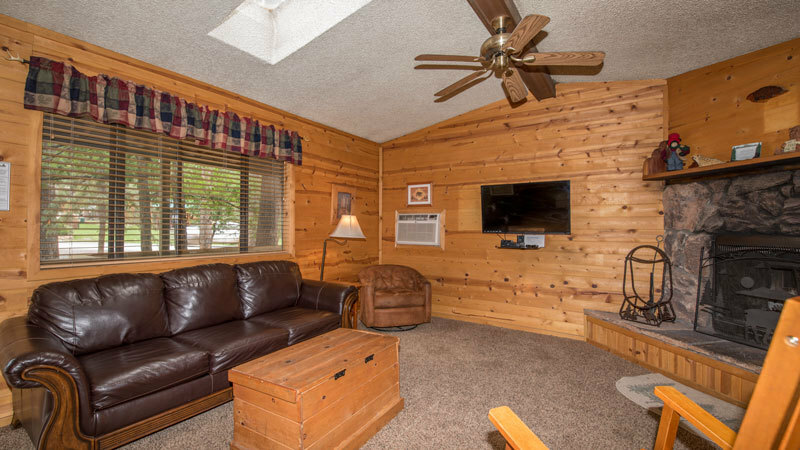 DESCRIPTION: Our Ponderosa cabin features an open beam ceiling in the large living area, comfortable seating, dining table, big flat screen and DVD player, fast internet (yes, fast enough to stream Youtube and Facebook videos), a well stocked, full kitchen where we supply the coffee, A/C, King beds with designer quilts and a fold out couch for the kids or friends. 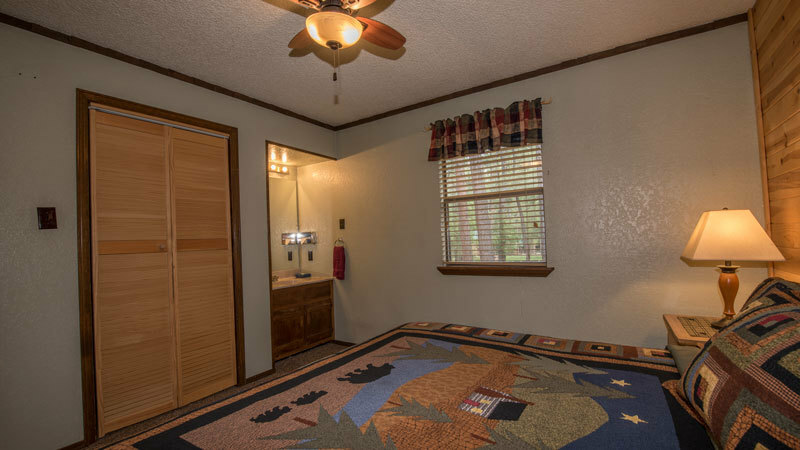 It has one full bath, but each of the two bedrooms have vanity sinks in them, a super convenient concept, especially for the gals. 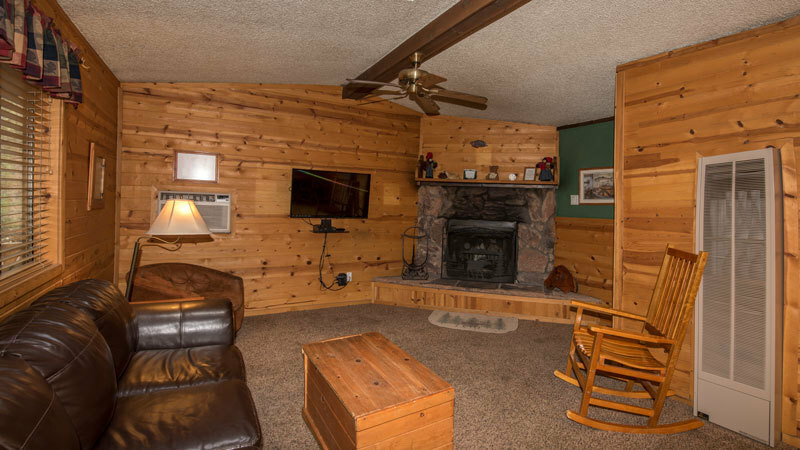 The large rock, wood burning fireplace is the key feature in the living room and makes a wonderful backdrop to your stay. 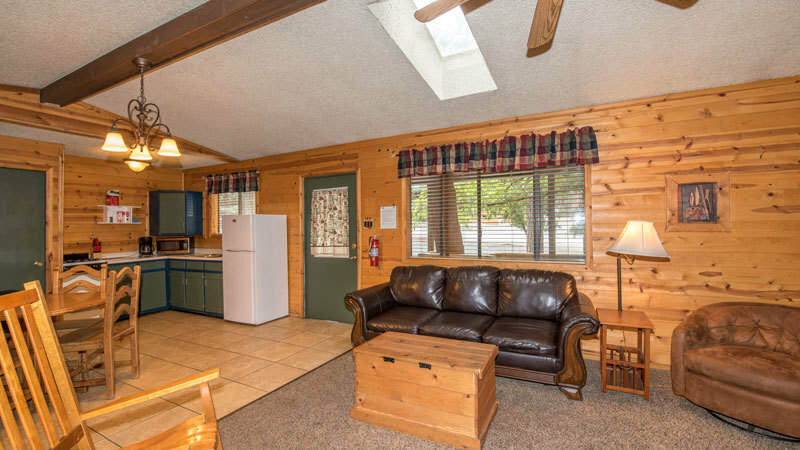 The large deck offers comfortable outdoor living and a high quality natural gas grill that you are sure to love. 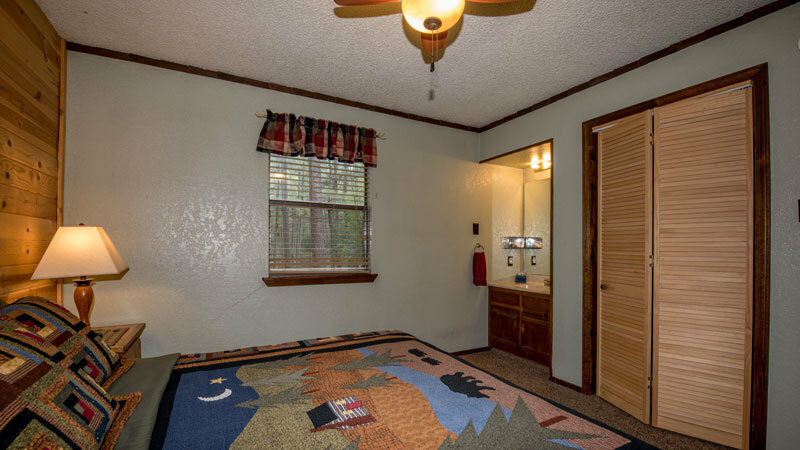 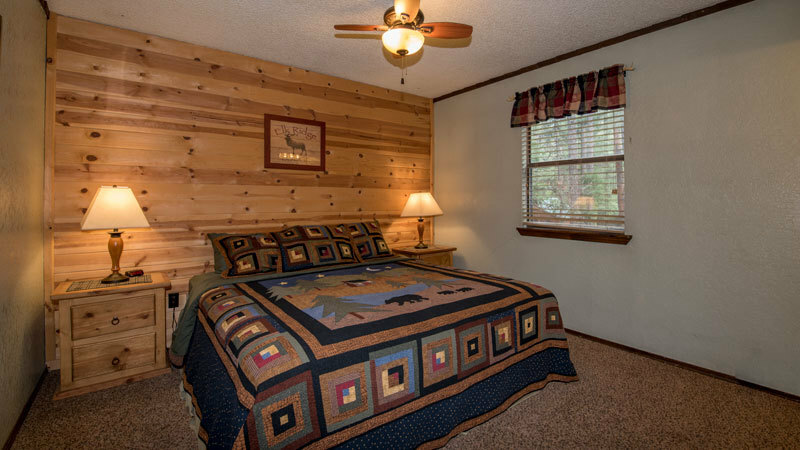 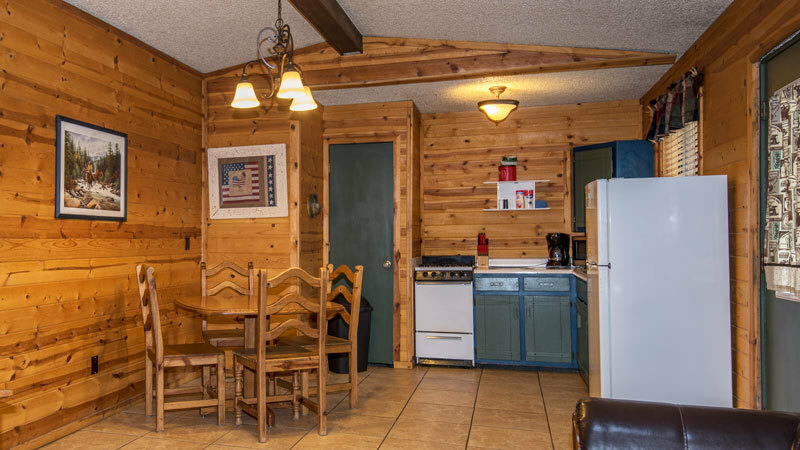 The little river is a short stroll behind the cabin and all of Ruidoso’s attractions are a short drive away including shopping, dining, gambling, horse racing, golfing, skiing and so much more. 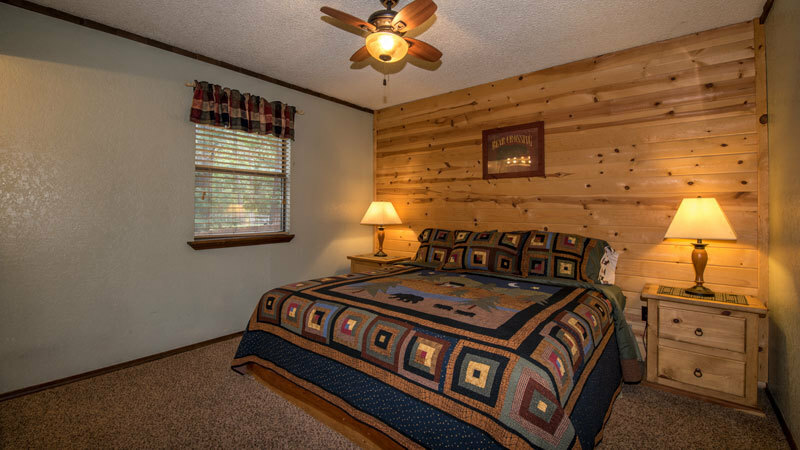 Check out the in-room directory for all the information you need for your stay as well as a list of events, attractions and our “just for you” selection of preferred restaurants (where the locals eat).